This website offers educators and students information about the Holodomor, including background information, primary documents, articles, excerpts from literature, and eyewitness accounts. This site also features lesson plans and suggested assignments for students grades 6-12 as well as a comprehensive list of resources and specific curriculum applications for courses in provincial curricula. Closing all navigation dropdowns for you. Please Continue to next item. Do not click. 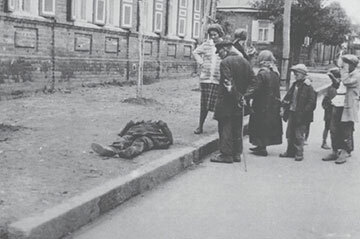 The term Holodomor refers to the genocidal famine in Ukraine that occurred in 1932-1933 during which millions of men, women and children were starved to death by the communist regime of Joseph Stalin, Holodomor means “death inflicted by starvation.” The Soviet government used food as a weapon against the Ukrainian rural population. It also wiped out the cultural, religious, intellectual and political leadership of Ukraine. In committing this genocide, Soviet authorities sought to repress Ukrainian aspirations for autonomy and eradicate all opposition to collectivization and communist rule. 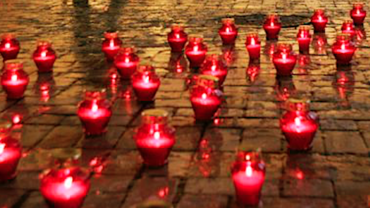 In the Soviet Union, the Holodomor was a taboo subject, denied and covered up. Soviet authorities also attacked those western journalists who strove to inform the public about the famine. Thus the Holodomor nearly disappeared from world awareness. Since the breakup of the Soviet Union in 1991, archives in Russia and Ukraine, which for decades had been off limits to scholars, became accessible. 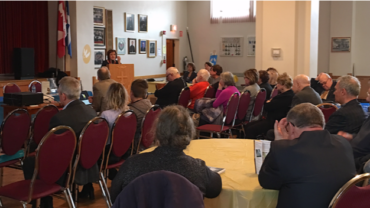 This had led to a fuller understanding of the Holodomor and its historical significance, including its far-reaching consequences in current affairs. This is why, on the basis of the changed situation, we consider that local Ukrainian nationalism is the principle danger in Ukraine at the present time. A genocide begins with the killing of one man – not for what he has done, but because of who he is. What I want to speak about is perhaps the classic example of Soviet genocide, its longest and broadest experiment in Russification – the destruction of the Ukrainian nation. This was the first instance of a peacetime genocide in history. It took the extraordinary form of an artificial famine deliberately created by the ruling powers. The Terror-Famine of 1932-33 was a dual-purpose by-product of collectivization, designed to suppress Ukrainian nationalism and the most important concentration of prosperous peasants at one throw. The famine was brought about in Ukraine in order to reduce the number of Ukrainians, resettle in their place people from other parts of the USSR, and in this way kill all thought of independence. I remain convinced that, for Stalin to have complete centralized power in his hands, he found it necessary to physically destroy the second-largest Soviet republic, ….to do away with Ukraine and things Ukrainian as such. They had gone over the country like a swarm of locusts and taken away everything edible; they had shot or exiled thousands of peasants, sometimes whole villages; they had reduced some of the most fertile land in the world to a melancholy desert. This section provides teachers and students with basic information, a historical background, comprehensive timeline, maps, excerpts from literature, and quotations on the Holodomor. Contains a variety of lesson plans, interactive activities, and assignments for students in grades 6 to 12 targeting subjects of history, social justice, civics, politics, law, world issues, and religious education. This section provides teachers and students with websites, a list of documentaries, and print materials that are recommended for student research and classroom use. Historically accurate images taken during the Holodomor within what was then the borders of Ukraine are few, as travel to Ukraine and the Famine regions was not permitted. 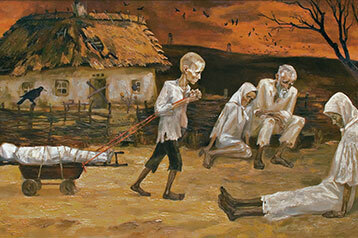 The gallery presents art produced in commemoration of the Holodomor. 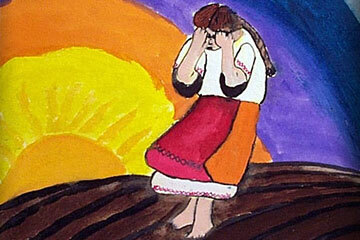 These depict the artists’ feelings and reflections on commemorating the Holodomor. This is art produced by young school students created as part of an art project to teach students about the Holodomor. It reflects their thoughts and feelings about this tragic historical event. 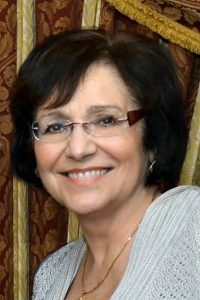 Valentina Kuryliw is the Director of Education of the Holodomor Research and Education Consortium (HREC). 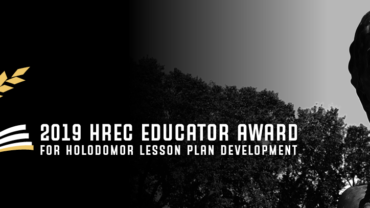 HREC Education furthers the research, study and understanding of the Holodomor, the 1932-33 famine-genocide in Soviet Ukraine, through six main channels: promotion, presentations, training workshops, educational resource development, lobbying and consulting. HREC Education promotes inclusion of the Holodomor, a genocide recognized by the Canadian government, in school curricula in educational institutions. 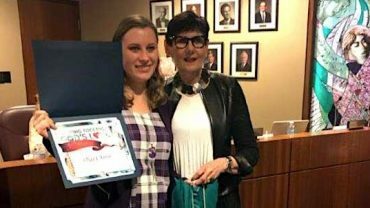 We develop instructional materials and training programs for educators that use best practice strategies and methodologies for teaching about the Holodomor across Canada, the USA and in Ukraine. We promote an interactive multidisciplinary approach and train educators to develop students’ critical and historical thinking skills. HREC Education lobbies Ministries of Education, administrators, school boards, social studies and history curriculum leaders across Canada. We conduct professional master classes for educators and give community presentations. We consult with Ministry staff, education boards and museum educators on human rights, genocide and the Holodomor. HREC Education co-funds and co-directs an education Methodology Lab with HREC In Ukraine.